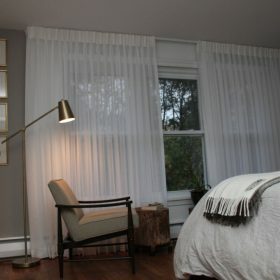 We are excited to share the photos of this recent project, a set of custom blinds in a bedroom. 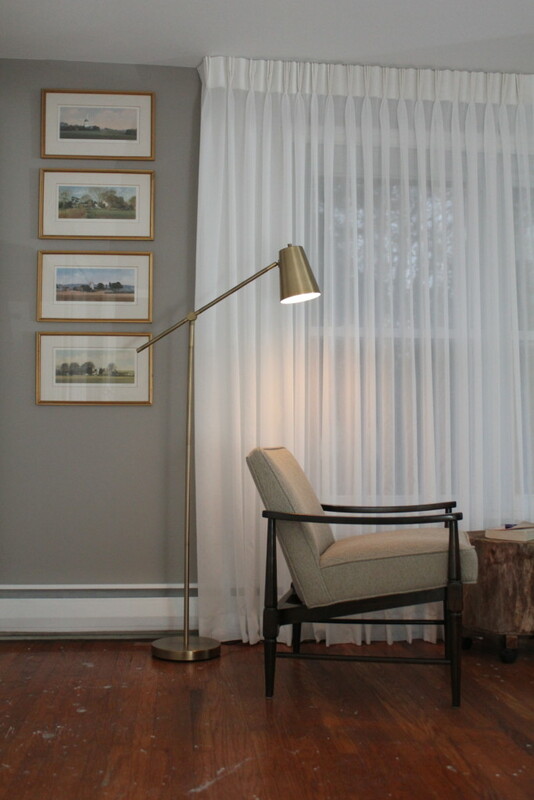 The white, sheer blinds are perfect for a space like this, because they add privacy while letting in a natural light. 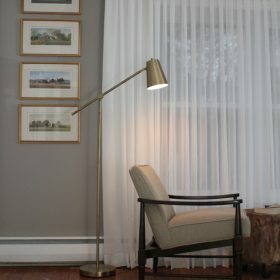 In this bedroom, the drapes are the perfect way to enhance the cozy reading nook near the window. 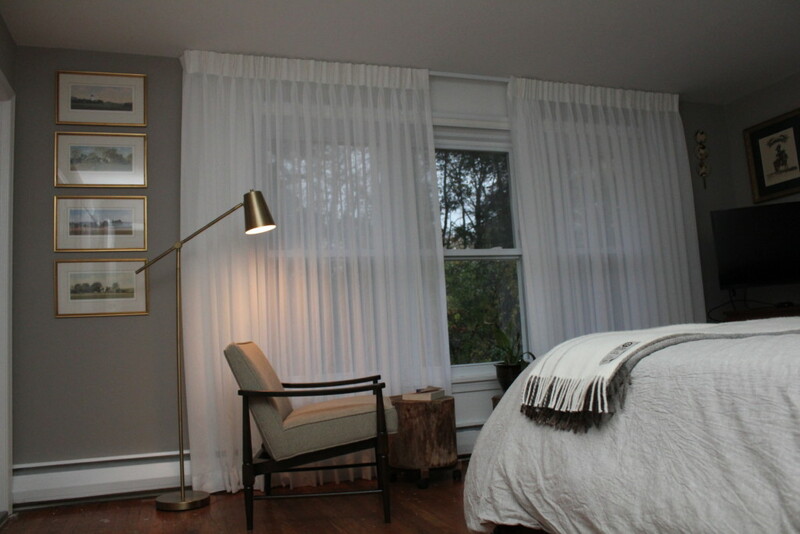 These seamless drapes are 118″ long and made of batiste. They are sheer pinch pleated drapes hung on a traverse rod.